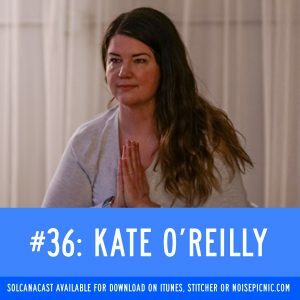 Kate O’Reilly, business owner, consultant and mom of two awesome humans, has been through a remarkable journey towards reclaiming her her own, authentic health, her way. Kate is our newest mobility instructor at Solcana Fitness, and we couldn’t be happier for the energy and wellness she brings to the space, to us, and to the world. Grab a cup of tea and settle in to hear Kate’s story and oh, so much more. Tweet us @solcanapodcast so we can answer YOUR questions! You can find Kate plenty of places! And last but not least, come join Kate for a yoga/mobility class (mobility is just a fancy word for stretching for athletes) at Solcana Wellness!